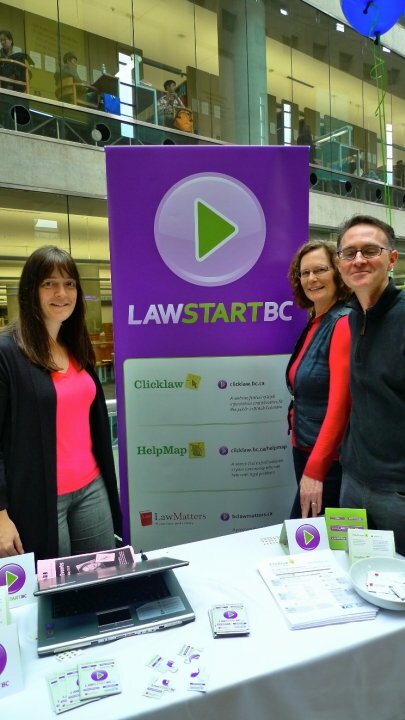 Skunkworks has developed a new website and brand called LawStartBC on behalf of our client Courthouse Libraries BC. LawStartBC provides an easy-to-remember gateway to the many services Courthouse Libraries BC provides to the general public and stakeholder community organizations. HelpMap (a unique tool integrated with google maps to help users locate legal resources near them). For the public, however, knowing where to tap into the different resources available to them could initially be confusing. Now LawStartBC serves as a unified a starting point. CLBC’s Community Outreach Team officially launched the new brand during LawWeek events as shown here.